Need some last-minute St Patrick's goodies? We got ya covered! How about a printable tic tac toe game for the kiddos? 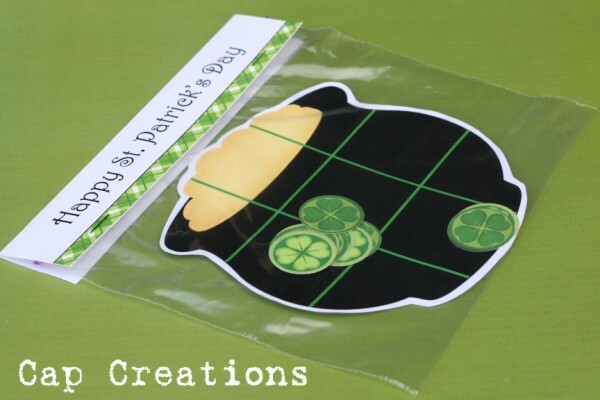 And a printable sandwich bag topper that works great for whatever you fill your bag with, cookies, Lucky Charm cereal, or even your tic tac toe game! The backside of topper has an Irish blessing that reads "May your blessings outnumber the shamrocks that grow." Enjoy! UPDATE: I somehow managed to lose the file for the bag topper in the photos so I had to redesign it. It is very similar to the original one however, I wanted to mention the change. Snack size bag with Lucky Charms. Oh so cute! 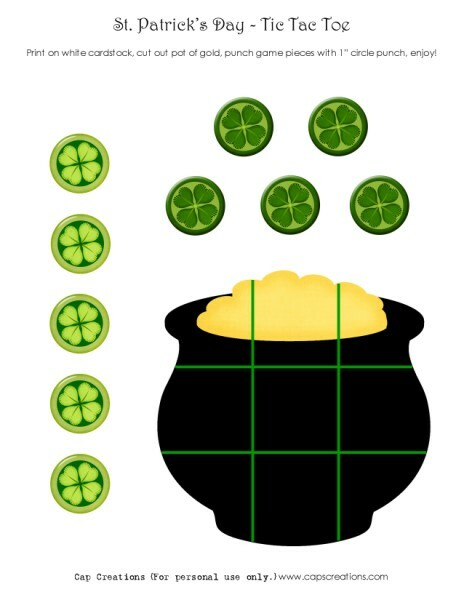 St Patrick's Day Tic Tac Toe Game Click here to download. Printable Bag Topper Click here to download. We'd love to hear if you use them! Elements used from Just So Scrappy. What a cute tic tac toe game! Thank you so much for this post. I want to let you know that I posted a link to your blog in CBH Digital Scrapbooking Freebies, under the Page 6 post on Mar. 15, 2011. Thanks again. Thank you for the comments! Glad you like them! 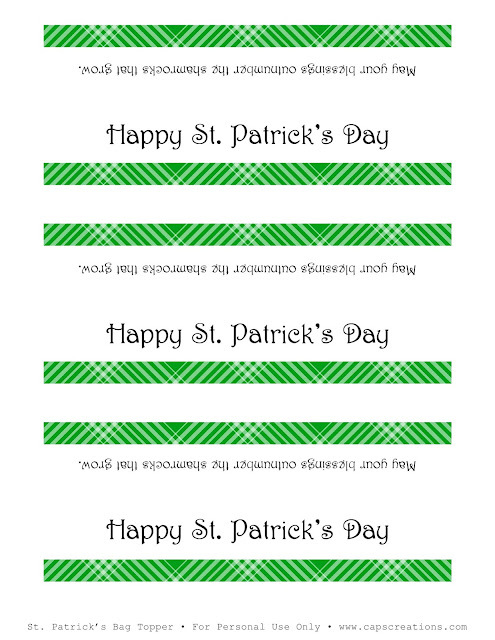 Thank you so much for sharing these darling St. Patrick's Day Printables. I was just thinking that tomorrow I needed to pick up some festive bags to put my St.Patrick's Day goodies in for my preschool classes. Now thanks to you I will just transform my plain ziploc bags into darling goody bags. I would love for you to stop by my blog and share this post or any other post on my "All Things Wonderful Link-up". I look forward to looking around your website more! How clever. 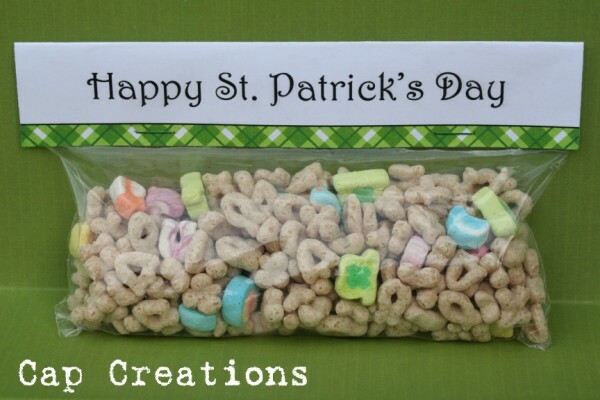 I love the Lucky Charms idea.